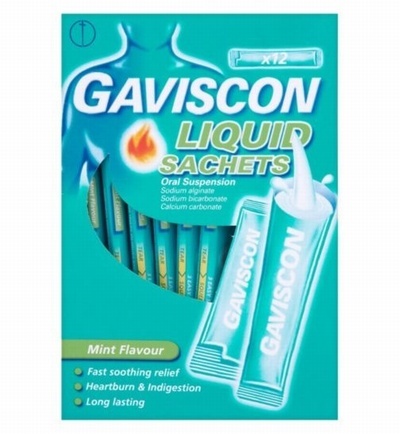 Gaviscon Liquid Sachets bring fast, soothing and long lasting relief from the pain and discomfort of heartburn and acid indigestion which, for example, can occur after meals or during pregnancy. They belong to a group of medicines called 'reflux suppressants', which form a protective layer or 'raft' on top of the stomach contents to prevent stomach acid escaping from the stomach where it works into the food pipe where it hurts. This Mint flavoured product is sugar and colour-free, it gets to work instantly and lasts up to 2x longer than antacids. It is suitable for use in pregnancy and perfect for on the go!